Architects: TZJ Architects and JMD Design. Scroll down for Awards list or read the story here. 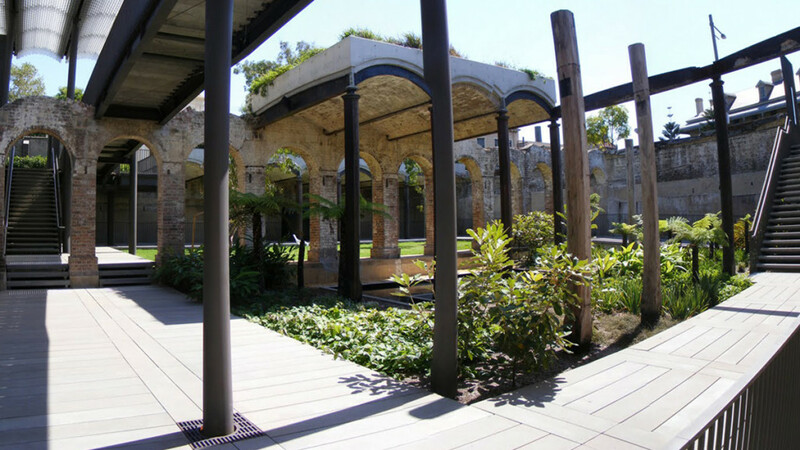 The re-purposing of this historic site into the fabulous multi-award winning Paddington Reservoir Gardens public open space has been honoured around the world. 2011 – Urban Land Institute Award for Excellence: Asia Pacific. Paddington Reservoir Gardens. 2010 – International Architecture Award, The Chicago Athenaeum and The European Centre for Architecture, Art, Design and Urban Studies, Paddington Reservoir Gardens. 2010 – National Australian Institute of Architects Award for Urban Design. 2010 – National Australian Institute of Architects Heritage Award. 2010 – Lloyd Rees Award for Urban Design, Australian Institute of Architecture (NSW) Awards. 2010 – Greenway Award for Heritage, Australian Institute of Architecture (NSW) Awards. 2010 – Australian Medal for Landscape Architecture, Australian Institute of Landscape Architecture. 2009 – The Australia Award for Urban Design, Planning Institute of Australia. 2009 – Landscape Architecture Medal, Australian Institute of Landscape Architects. 2009 – Design Excellence Award, Australian Institute of Landscape Architects (NSW). 2009 – Officer of the Valuer General Heritage Award, Australian Property Institute.